Help the Ocean Cleanup Array Save the World's Oceans From Plastic Pollution! Plastic pollution is a global problem – the world’s oceans are filled with millions of tons of plastic particles that choke sea life and release hazardous toxins as they decompose. 19-year-old Boyan Slat has come up with a brilliant solution that could rid the seas of plastic pollution – and it’s proven by a year-long feasibility study – but he needs your help to make it a reality! Boyan’s Ocean Cleanup Array crowdfunding campaign has raised over 1.6 million dollars – but it has just 10 days left to hit its $2 million funding goal – so donate today to help clean the world’s oceans of plastic pollution! 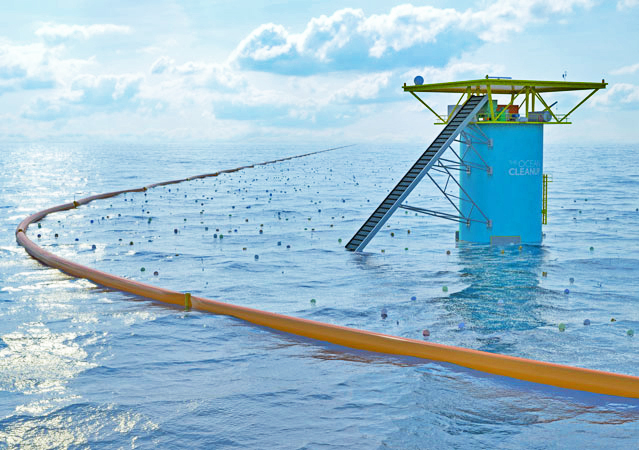 Help the Ocean Cleanup Array Save the World's Oceans From Plastic Pollution - Donate Now! Plastic pollution is a global problem - the world's oceans are filled with millions of tons of plastic particles that choke sea life and release hazardous toxins as they decompose. 19-year-old Boyan Slat has come up with a brilliant solution that could rid the seas of plastic pollution - and it's proven by a year-long feasibility study - but he needs your help to make it a reality! Boyan's Ocean Cleanup Array crowdfunding campaign has raised over 1.6 million dollars - but it has just 10 days left to hit its $2 million funding goal - so donate today to help clean the world's oceans of plastic pollution!